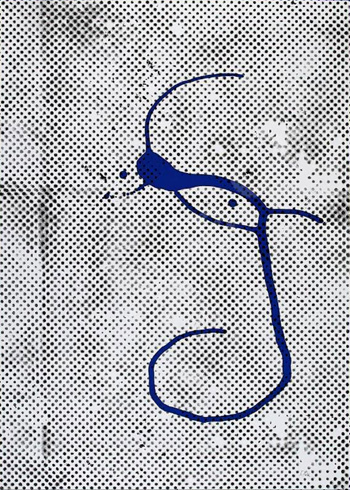 Sigmar Polke was the practicioner of large-scale works whose interest in cartoon and mass media was once called Capitalist Realism in Germany, and whose intensely varied marks yielded a lifelong inventiveness with form, media and chance. The screen print edition Untitled 1989 of the Griffelkunst Vereinigung is part of the MoMA Print Collection, New York, USA. History of prices: see various auction results.